H-4 visas are issued only to very close or immediate family members of the H-1B visa holders. It includes the employee's spouse and children less than 21 years of age. 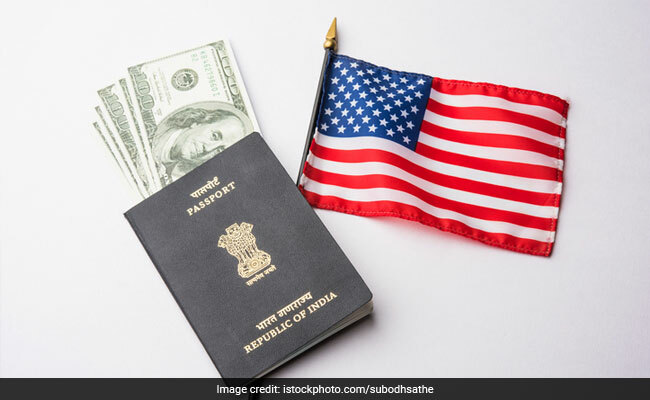 The Trump administration has assured lawmakers and the American corporate sector that the public would get an opportunity to respond to its proposal of revoking work authorisation to H-4 spouse visas after they raised their concerns over the move, which will impact thousands of Indians. The Department of Homeland Security (DHS) had said that the US Citizenship and Immigration Services (USCIS) will come out with a new proposal by January 2019 under which it is mulling to remove from its regulations certain H-4 spouses of H-1B non-immigrants as a class of aliens eligible for employment authorisation. The USCIS has recently written a near identical letters to top US lawmakers and leaders of the corporate sector who had raised concern over the Trump administration's proposal to revoke the H-4 visas. "The public will be given an opportunity to provide feedback during a notice and comment period on any proposed revisions to regulations providing employment authorisation to certain H-4 non-immigrants," L Francis Cissna, USCIS director, wrote to senators Kamala Harris and Kirsten Gillibrand in a letter dated October 16, which was posted on the organisation's website this month. The two lawmakers had urged not to revoke work authorisation to H-4 visas. However, the letter makes no commitment on the fate of the decision to revoke the work authorisation to H-4 visas, except for saying that the DHS is committed to safeguarding the integrity of the immigration system and protecting the wages and job opportunities for US workers. In a letter dated September 26 and addressed to Homeland Security Secretary Kirstjen Nielson, Harris and Gillibrand had said the administration's proposal to revoke the employment authorisation of certain H-4 dependent spouses of non-immigrant H-1B workers would permanently force approximately 1,00,000 predominantly high-skilled women to abandon their professional careers. "This will harm the wellbeing of these women and their families and have negative consequences for American communities where they live and work," they had said. In another letter dated July 23 and addressed to the DHS, as many as 34 US legislators had expressed concern that revoking work authorisation to H-4 visas would "create significant uncertainty and financial hardship for many highly skilled professionals who are vital to US economy". A group of top corporate leaders had expressed similar concerns to the DHS in a letter dated August 22. The H-4 spouses are "often highly skilled" and have built careers and lives around their ability to "contribute to companies here", they said. "Other countries allow these valuable professionals to work, so revoking their US work authorisation will likely cause high-skilled immigrants to take their skills to competitors outside the US," stated the letter, which among others was signed by Chuck Robbins, CEO of Cisco Systems; Roger K Newport from AK Steel Corporation; Doug Parker of American Airlines and Stephen Squeri of American Express.